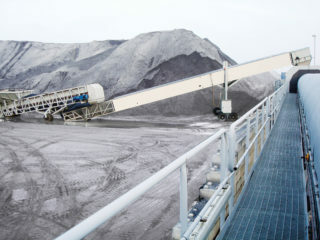 HC200 Link Conveyor is standardized for movable conveying applications. It can be used in ports, power plants, stock yards and mines for primary or secondary conveying purposes. HC200 Link Conveyors can be combined to form almost any total length needed. 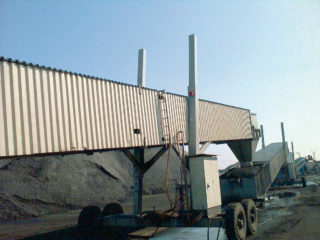 Individual conveyor length is either 30 or 40 meters. 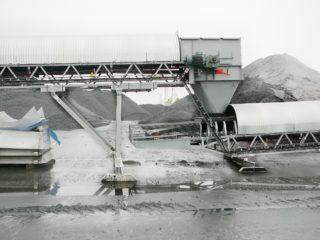 Link Conveyor can be easily relocated to another position depending on the current need. Towing point for front end loader is arranged in the tail end section. Discharge height can be changed with adjustable column using a front end loader. Link Conveyor can be optionally delivered with plug&play electrification. In the standard electrical cabinet a frequency converter allows soft starting and belt speed adjustment. It can also be connected to a communication bus to allow remote condition monitoring and control. Standard delivery includes pull cord emergency switch on both sides of the conveyor. Available options are belt misalignment switches, rotation detector and lockable main switch with the Plug&Play electrification. 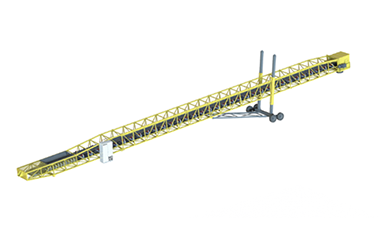 Due to its modular structure the Link Conveyor can be quickly reassembled at site. It comes in pre-assembled modules that include all the required parts ready in place. Modules are packed in standard containers which also protect the equipment before installation and allow easy transportation to site. Different applications have special needs. Optionally the Link Conveyor can be equipped with discharge chute with wear plates, covers along the frame on roof and sides and special tyres.